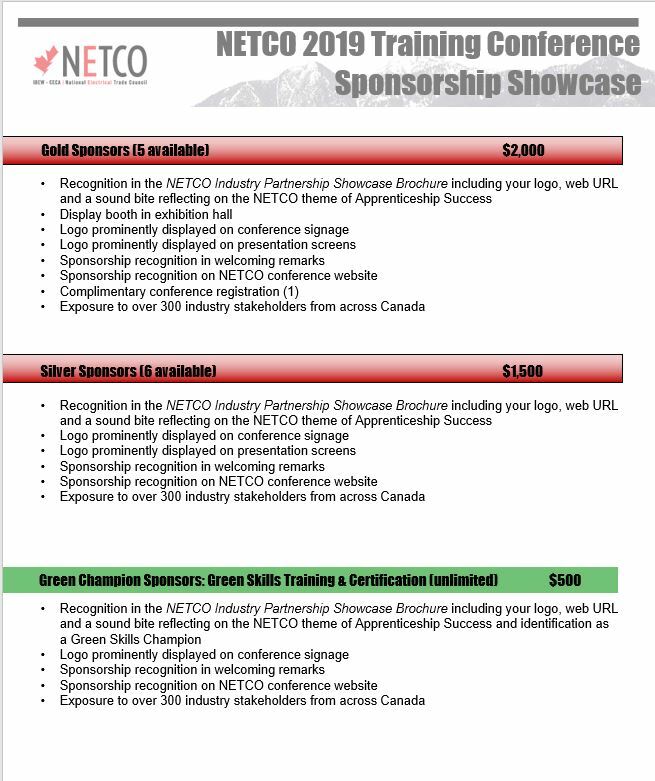 For a PDF version of the sponsorship package (and form), please click here. 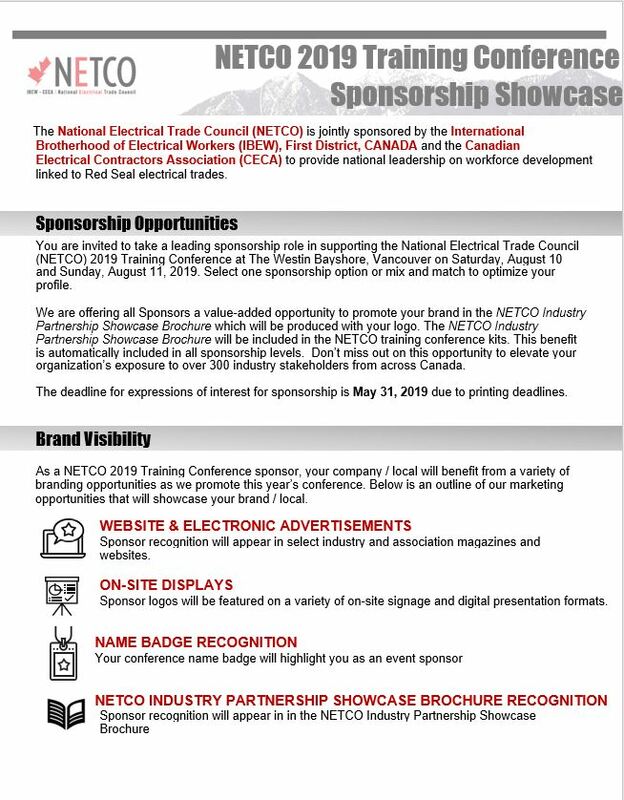 Please print and complete the PDF form and mail to: National Electrical Trade Council 1 Hampton Road, Suite 135, Rothesay, NB E2E 5K8. Cheques should be made payable to “National Electrical Trade Council”. 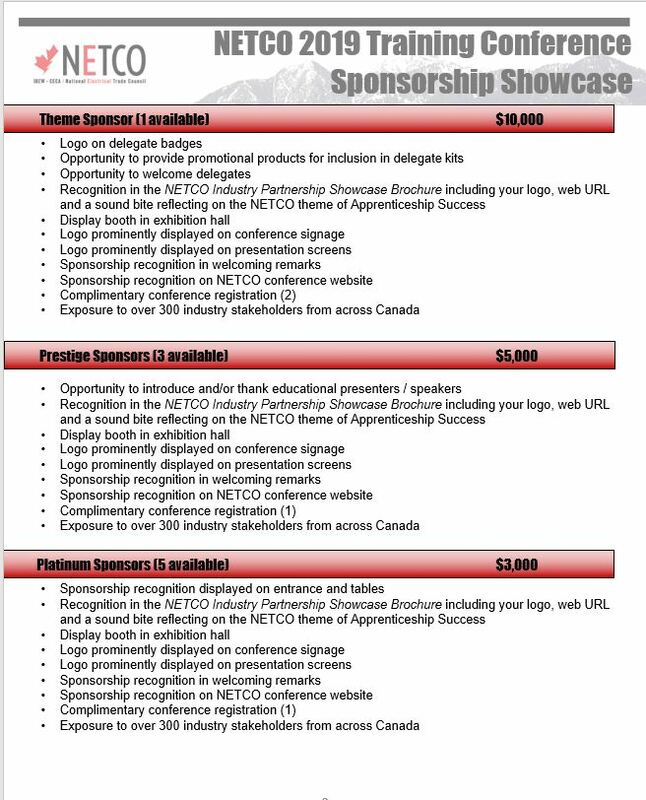 Email your Hi-Res logo to NETCO Administrative Officer, Angela Locke at Angela.Locke@netco.org. Feel free to contact Angela by phone at 1(506)216-1048. The deadline is May 31, 2019 due to printing deadlines.